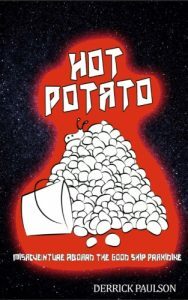 Hot Potato is a intergalactic science fiction/fantasy story- based upon the hobgoblin entrepreneur, Turpis Bufo, had been doing well with his interstellar delivery business; his crew, including Adams, a jack-of-all-trades human, certainly thought so, at least. However, when the hob saw the chance to make even more money essentially transporting already-arrested criminals from a wide variety of worlds. Derrick Paulson received his M.F.A. 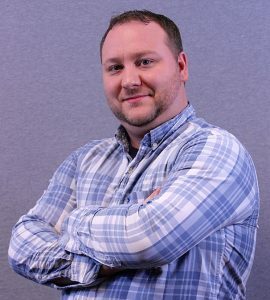 in Creative Writing from Minnesota State University, Moorhead, 2011, and is currently pursuing his secondary teaching licensure in Communication Arts and Literature at St. Cloud State University. His works of poetry and prose have appeared in print and online in 365 Tomorrows, Annapurna, Canary, Disingenuous Twaddle, Orion Headless, The Gander Press Review, The Red Weather Journal, and elsewhere. He is a writer and teacher.